As some of you may know, I have recently completed my second graphic novel, Cavemen in Space. I plan to self-publish and distribute through AdHouse Books this Spring, but I need your help! 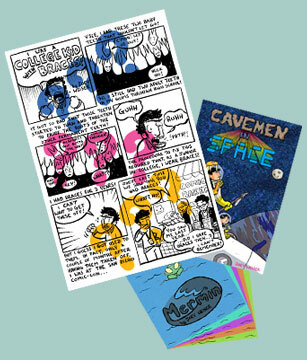 Inspired by folks like Liz Baillie and Jamie Tanner, I have launched a fundraiser to raise the raise the money required to publish Cavemen in Space! And as a thank you for donating, I have several different rewards based on the level of donation! Go to the donation page to see the details, but rewards for donating include original art, comics, and more! And if you can't afford to donate, you can still support the cause by sharing this page with others on your blog, Facebook, Twitter, email, cave walls, etc! So, click here to see how you can be the first to read my newest projects, receive original art, and even appear in a comic yourself!! Re: Support My New Book - Get Prizes! Hello! For the next 9 weeks I will be focusing on each of the reward levels from my Cavemen in Space fundraiser. In its first week, the fundraiser has remarkably raised $1,188, one-third of the funds needed! Donations have included almost all of the levels, including Level 9, and I've received donations from California to France. A note about international donations: Donations from all over the world are welcome! International donators could consider dropping a few extra dollars using the "Donate" button on the site to cover the extra shipping, but it is entirely not necessary! Well, the CiS fund has come a long way in its first week, but there's still a long way to go. I hope you'll consider donating and/or spreading the word any way you can! Anyway, let's discuss Level 1, shall we? Donate $8 and you will receive a signed copy of Mermin Issue 1! 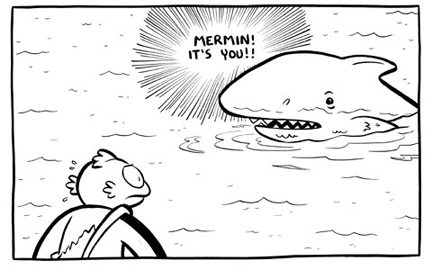 Mermin is my new ongoing mini-comics series, debuting in April! The first issue is FORTY PAGES and features a color sticker on the cover. I will sign each copy sent to donators and they will be shipped as soon as the issue is printed! I've dropped some hints about Mermin, but not really discussed it in detail here. After Cavemen in Space, I took some time to reflect on what my next big project would be. I thought about some of my favorite comics like Bone and various manga titles like Dragon Ball and One Piece, and realized something that they had in common: Serialization. Something that I always just viewed simply as a publishing necessity, I now looked at as how it effected the storytelling and reading experience. 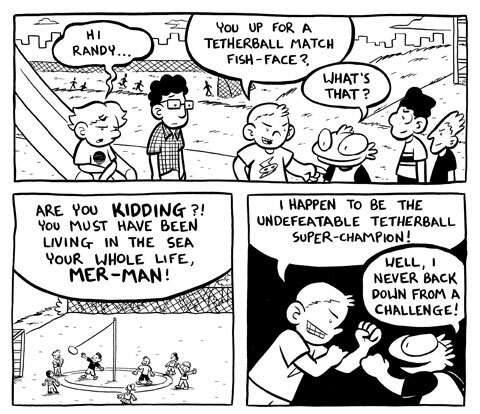 So, I'm giving it a shot, and Mermin will be serialized in mini-comics for at least 5 issues. I have big plans, but I'm starting relatively small and seeing where I go from there. As mentioned above, the first issue of Mermin is a double-sized FORTY PAGE issue, and can be yours can be yours at several donations levels including Level 1 at the Cavemen in Space Fundraiser! Continuing in my weekly look at the different reward levels for the the Cavemen in Space fundraiser, let's take a look at Level 2! 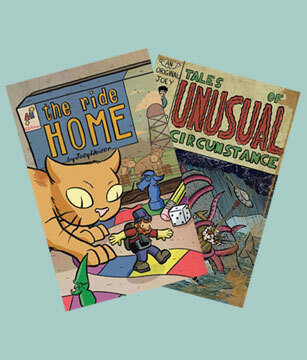 Donate $15 and you will receive a signed copy of The Ride Home OR Tales of Unusual Circumstance! You decide! Been meaning to pick up one of my books for a while? Have a copy of both, but know someone who would appreciate it as a gift? Now's your chance! Each copy will be signed and mailed as soon as possible after your donation is received! Follow the adventures of Nodo The Van-Gnome as he tries to find his lost home on wheels. During his quest he'll meet sewer dragons, junkyard trolls, and a cow or two. 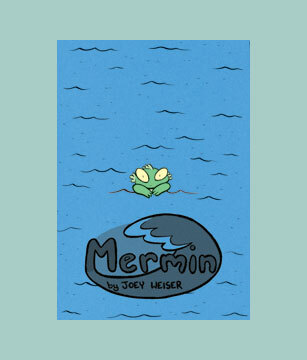 A fun, all-ages romp of a story created by new-comer Joey Weiser. Following TRH, I published a collection of short comics titled Tales of Unusual Circumstance via a print-on-demand service, AuthorHouse. 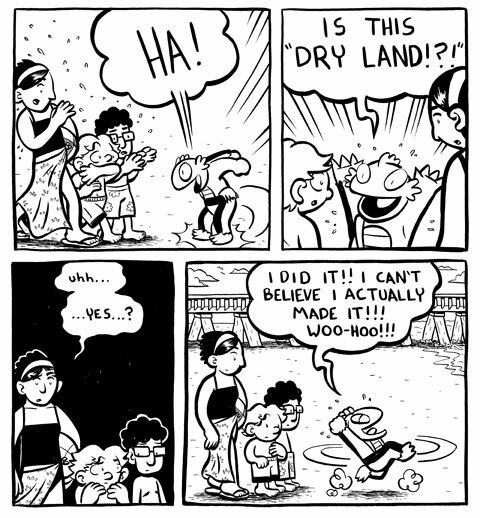 Tales of Unusual Circumstance is a compilation of short comics by Joey Weiser. Its contents include work from anthologies, mini-comics, and more! 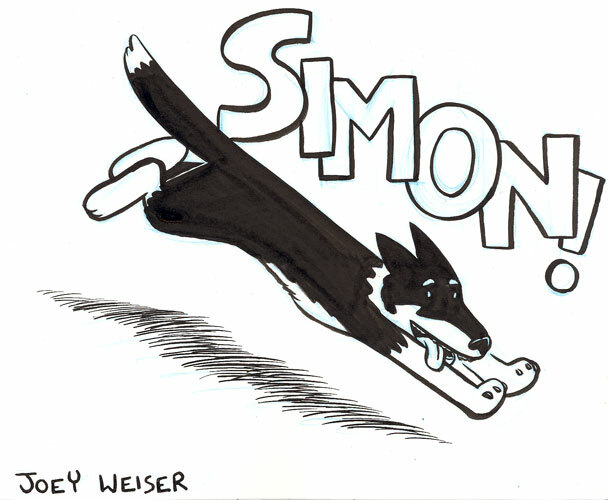 In addition to collecting Weiser's work from the past 4 years, Tales features 48 pages of never-before-seen material! 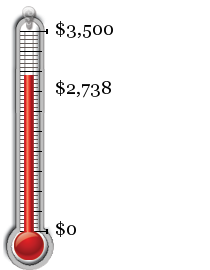 As expected, things slowed down a bit in the second week of the fundraiser, but the thermometer still rose to $1317! The second wave of rewards are set to ship asap! Okay! Let's talk Level 3! Donate $25 and you will receive a subscription to the first FIVE issues of Mermin! 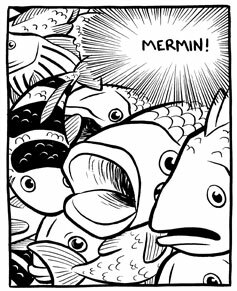 Mermin is my next big project after Cavemen in Space, and I am serializing it as a mini-comics series. The first 5 issues are planned to contain the first story arc, and with this subscription, you are guaranteed to see it first! I expect to have 2 to 3 issues out this year, and subscribers will be sent each (signed) issue as soon as it is printed. I talked about Mermin in the Level 1 post a couple weeks ago, so you can check that out (above) and get excited about the series! Issue 2 is already coming along quite nicely, so I have no doubt that at least 3 issues this year is possible. This year I'm definitely going to be attending the following conventions: Fluke in April, TCAF in May, Heroes Con in June, and SPX in September (and possibly the San Diego Comic Con in July as my wild card). Of those 4 definite cons, I plan to have one book debut at each show, be it Cavemen in Space or an issue of Mermin! That's exciting for me, because I typically have one book or mini debut each year and then just take it around with me to each show. And that's exciting for YOU, because as a potential subscriber that's a rough schedule you can follow to expect the first 3 issues to arrive (with a possible 4th issue in the winter!). Not bad, eh? So, if you'd like a brand-new, hot-off-the-press, mini-comic to arrive at your door in April, May or June, and September, this is the donation level for you! The CiS fund has currently raised $1499, and is approaching the end of it's first month! It's not going to take much to push it over $1500 and leave $2000 more to raise in two months! We are entering the second month of the Cavemen in Space Fundraiser, and to celebrate, I am introducing new bonus prizes! 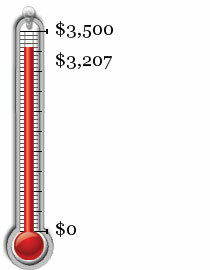 In the CiS Fund's first month we have raised a remarkable $1548 -- almost half-way there! But with 2 months to raise $2000, I can't slow down! With the exception of one Level 9 donator, no one has donated $150 (Level 7) or more. 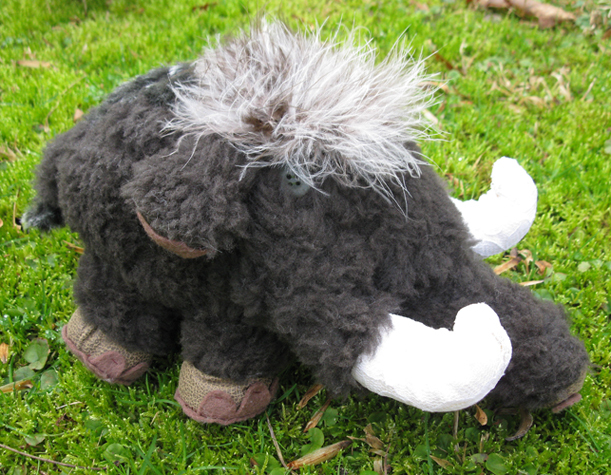 So, as a little extra incentive, the next 4 people to donate $150 or more will receive a woolly mammoth! That is, in addition to the usual reward for the corresponding level of donation, this extra prize will be sent to you at no extra charge! 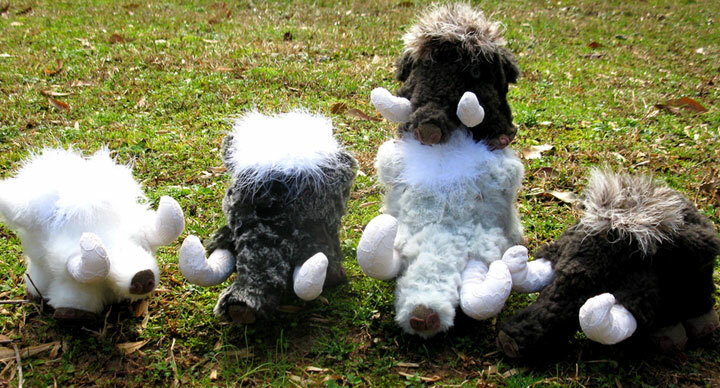 Each mammoth was created by hand by Michele Chidester, and there are only 5 in existence (one is for me! ), making this a very rare species! They are cute and cuddly, and each an individual! Even if you can't afford a mammoth, please consider donating and/or helping the cause by spreading the word! Check out my blog for more individual pictures of these beautiful, rare creatures! One Mammoth has found a home, three more to go! Today I want to talk a little bit about Level 4 of the Cavemen in Space Fundraiser rewards! 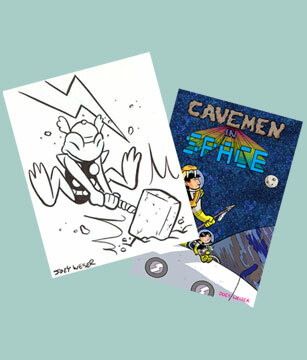 Donate $30 and you will receive signed copies of Cavemen in Space AND Mermin Issue 1! 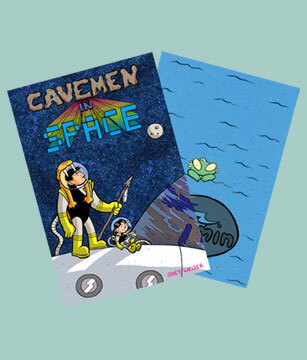 Be the first to read Cavemen in Space and Mermin! 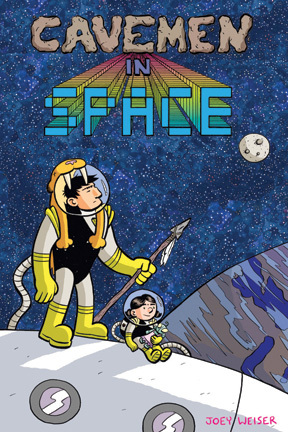 I will have copies of Cavemen in Space before stores have them, and I will sign & mail advanced copies to donators as soon as they are available to me! At this level, you will also receive a signed copy of Mermin Issue 1 as soon as it is printed! Over at AdHouse Books, CiS has it's own page where you can see some more details about the book, and even download a preview of the first 9 pages as well as the front & back covers! CiS is also at Amazon.com where you can pre-order the book (although I personally recommend buying from AdHouse) and see MORE preview pages by clicking on "Search inside the book" where you can actually read right where the AdHouse preview leaves off, and even see risk spoilers by clicking "Surprise me!" to see one of any of the 248 pages! Preview pages galore! The fund is currently at $1752, just barely making it past the half-way point! This was thanks to a couple donations last week, including one donation for a Woolly Mammoth! Only three more of those guys left! Please consider donating today! One more Mammoth has found a home! Only two more left! Who wants 'em?? This week, we take a look at Level 5 of the Cavemen in Space Fundraiser rewards! Donate $50 and you will receive custom art AND Cavemen in Space! That's right, I will draw & ink ANYTHING YOU WANT. Just let me know, and I'll get to work! Custom art will be drawn & mailed as soon as possible after you make your donation! Along with this donation, you will also receive a signed copy of Cavemen in Space as soon as it is printed! 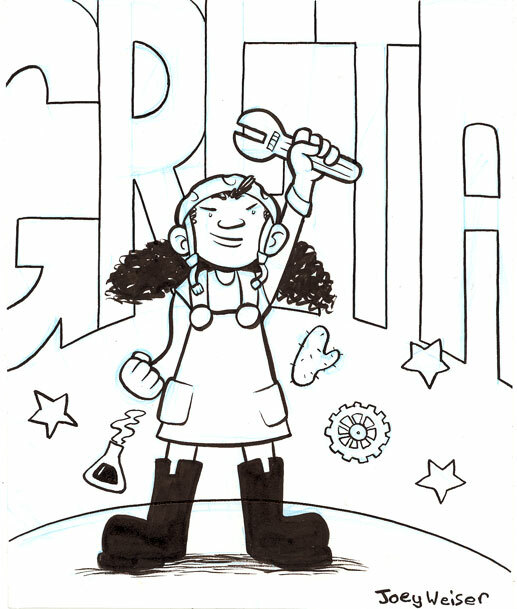 In some cases, folks have asked me for specific characters, like Greta from the Secret Science Alliance! This was a set of two drawings! I'd love to do more, so please consider donating $50 and requesting your very own custom art! With this level, you also receive a copy of Cavemen in Space, which was covered last week. The CiS Fund is currently at $1,940 -- approaching $2,000! That is very exciting, indeed. We have sent off two mammoths to good homes, and two more are ready to go! This week's spotlight on Cavemen in Space Fundraiser rewards, is Level 6! 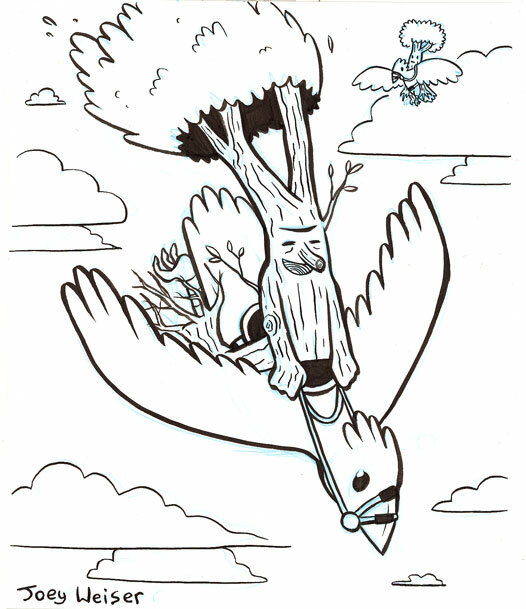 Donate $100 and you will receive an original comic page of your choice AND Cavemen in Space! For only $100, I will send you any page of original art from any of my books (The Ride Home, Tales of Unusual Circumstance) or anthology contributions (Flight, Superior Showcase, and more!) or whatever work of mine you can find that suits your fancy! I still have most of my originals, so make a choice, and I will let you know if it's still available! Most originals are on 14"x17" paper (drawn at 10"x15" in most cases). 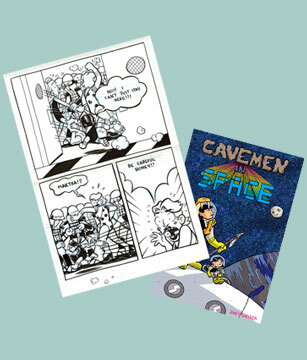 Art will be mailed as soon as possible, and a signed copy of Cavemen in Space will be sent as soon as it is printed! Yes, that's right! An original comic page + Cavemen in Space (covered above) for only $100! Maybe you'd like to see how exactly I put together a page of comic art. Well, a few months ago I posted the step-by-step process on my blog. This is a working habit that I've developed over the years, so this can give you an idea of how much work has gone in to any given page from any point in my career that you might be interested in receiving as a reward for donating at this level. Well, the CiS Fund just barely moved up since last week, rising to $1,965. Still, every little bit helps, and I am extremely grateful for any bit that folks are able to contribute, and very happy to send rewards out to donors. One of the pleasures about this fundraiser, besides receiving the funds necessary to print this book, is being able to send my work out to more and more people! We're just about to go over $2,000...maybe you could be the one to take it there! Donate $150 and you will receive an original page OR custom art AND a Mermin subscription AND Cavemen in Space! Whatta combo! You will have your choice of either an original comic page (of your choosing) OR a custom ink drawing of any subject you'd like. And with that comes signed copies of the first FIVE issues of Mermin and Cavemen in Space! Artwork will be sent as soon as possible, and the book/subscription will be sent as soon as they are printed! If you take a look at the CiS Fund page, you'll notice that I have updated with a deadline. The fundraiser ends Monday, April 5th (which also happens to be my birthday). I have to print in April, so I'm cutting off the fundraiser at the beginning of the month. So, this means we've got 5 weeks left to raise as much money as we can!! We passed $2000 last week, and are sitting at $2,005. Can you push it higher?? 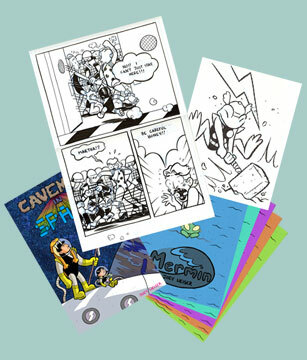 Donate $300 and you will receive a one-page custom comic (original art) AND a Mermin subscription AND Cavemen in Space! For this level, YOU will tell ME the subject, and I will draw a one-page comic about it! You will then receive the original art and know that THIS WAS CREATED FOR YOU AND YOU ALONE. It will even be your call whether or not I can share this comic online or in print! In addition to this, you will be sent signed copies of the first FIVE issues of Mermin and Cavemen in Space as soon as they are printed! This is the only level that nobody has donated at, so unfortunately I have no custom comics to show you! Well, lets look at the comic that I put in the image then....I chose it because it's a good example of what a one-page custom comic could be. A few years ago, Raina Telgemeier sent out a request for personal dental stories as guest strips when she was posting her (recently published!) graphic novel, Smile, on the web. This very easily could have been a custom comic where someone had a dental practice or something and said, "Draw me a comic about your dental experience!" Along with a custom comic, this level also contains a Mermin subscription and Cavemen in Space which have been previously covered. 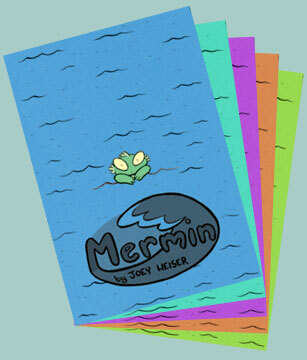 I'm just waiting for the stickers for the cover of Mermin 1 to arrive, and then those first issues are going to start going out to people! The Cavemen in Space Fundraiser is currently at $2,112. That's a great amount, but we are in our last month and about 60% funded! For those who have been taking their time to donate, now would be a great time to act! 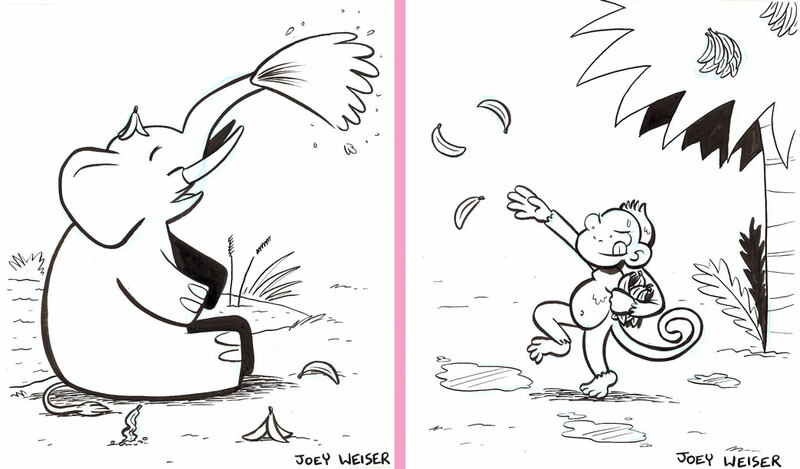 Donate $500 and you will be drawn into a future Monster Isle strip or Mermin issue AND receive the original art of this appearance AND "The Joey Weiser Library"! WOW!! This is the top level! If you can give me this much, I have much to give in return! Send me some pictures of yourself and I will actually DRAW YOU INTO A COMIC! 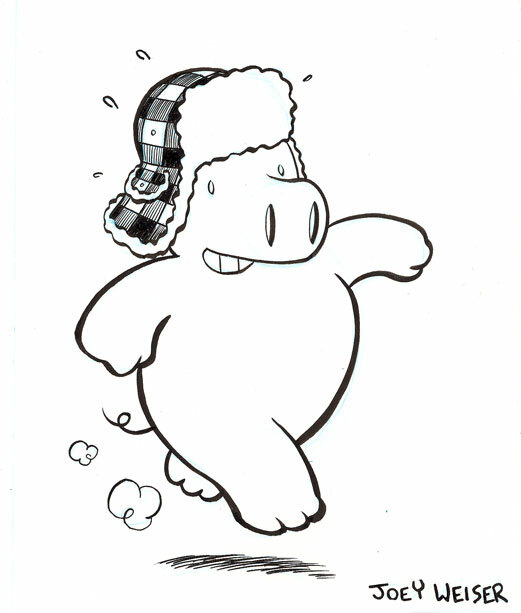 Yes, you will appear in an installment of of my weekly webcomic, Monster Isle, or in a future issue of Mermin! And for this, you will also receive the original art in which you appear! But that's not enough for such a generous donation! Donate $500 and you will also receive "The Joey Weiser Library" a.k.a. signed copies of The Ride Home, Tales of Unusual Circumstance, Cavemen in Space, and a subscription to Mermin! When I sign books, I always draw a little doodle, but you can be sure I'll make sure the doodle is real nice for $500 donators. Appearances in the comics will happen as soon as possible. Honestly, appearances in Monster Isle will be possible much sooner than in Mermin, but if you have a preference, let me know. Original art will be mailed as soon as the page is drawn, and all other books will be sent as soon as they are printed (The Ride Home and Tales will be sent immediately after the donation is received). Yes, this is the top level of donation for the Cavemen in Space Fundraiser! For this you get a ton of books -- Cavemen in Space, The Ride Home, Tales of Unusual Circumstance, and the Mermin subscription have all been covered in previous posts. So far there has only been one Level 9 donor, and you can see his appearance in Monster Isle here. I've got a couple more ideas for Monster Isle appearances, and I'd hate to see them go to waste! Still, a donation at any level would be greatly appreciated. At the moment we've raised $2,256, about 64% of our $3.500 goal. There's about 3 weeks left to the April 5 deadline. And now I have covered all 9 levels of donation on my blog. For those who have already mentioned the fundraiser on their blogs, Twitters, Facebooks, etc. it might be a good time to remind your readers that the fundraiser is coming to a close! The Cavemen in Space Fundraiser is in its FINAL WEEK! That's right, the deadline is April 5, 2010 which is next Monday! Please take another look at the possible rewards for donating, as chronicled as previous posts in this thread. 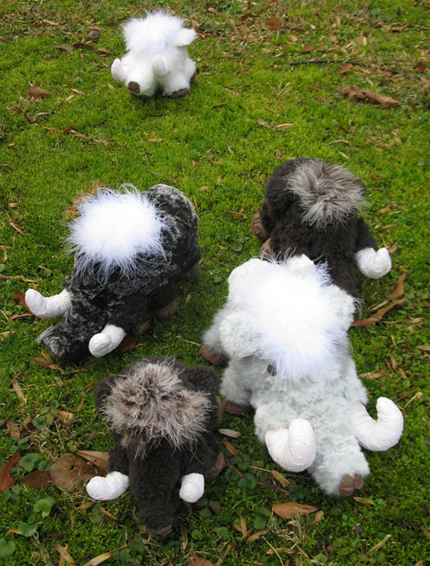 And there is still ONE of the original FOUR (well, five, if you count mine) Woolly Mammoths available for anyone who donates $150 (Level 7) or more! For more information about Cavemen in Space itself, I would direct you to my announcement when the book became available for preorder which contains links to a couple previews and details about the book, etc. as well as Avoid the Future's interview with me and review of the book! There are a lot of rewards here, and some that won't be available anywhere else. For instance, I haven't made up my mind whether or not I'll be offering the Mermin subscription service post-fundraiser, so if that's something you're interested in, I suggest you act now. 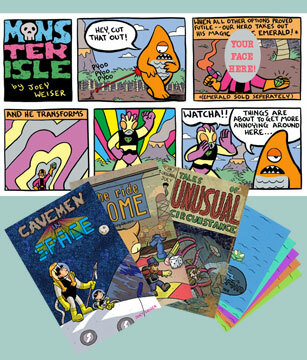 Also, donors will receive all of their books as soon as I get them from the printers, meaning they will get Cavemen in Space before it is available in stores, and issues of Mermin before they debut at conventions and are available for purchase online! The CiS Fund is currently at $2,738 of $3,500 making us 78% funded! I have $762 left to raise this week, which means I have to raise about $109 a day to make it! I'll be updating my Twitter and Facebook frequently this week with updates and reminders, and this thread semi-frequently. If you've been waiting to donate or donated once and planned to contribute more, you don't have much longer! As I write this, the Cavemen in Space Fundraiser has reached 91% of it's goal! This is very exciting, but I want to remind everyone that the fundraiser ends TONIGHT! That's right, I have set the official cut-off time at 12am PST in order to give maximum donating time for our friends on the west coast. That's only $293 left to raise in about 17 and a half hours! That's only about $17 an hour (if I'm doing my math correctly...). Even if I don't reach my goal, I am extremely happy with how this has gone. The book is being printed (in only a few weeks!) either way, but this is much less of a financial burden on me. I really appreciate the support I've received and I'm very happy that this has made printing my second graphic novel a reality. I'm also pleased that it's given me a chance to connect directly with fans and reconnect with family and friends who have shown their support. I am so happy to send out each reward knowing that these people will read Cavemen in Space or Mermin or enjoy a piece of my artwork, etc. Well, there's only hours left! If you've been meaning to donate, this is your last chance! Take another look at the rewards and think about what you'd like to arrive at your doorstep. 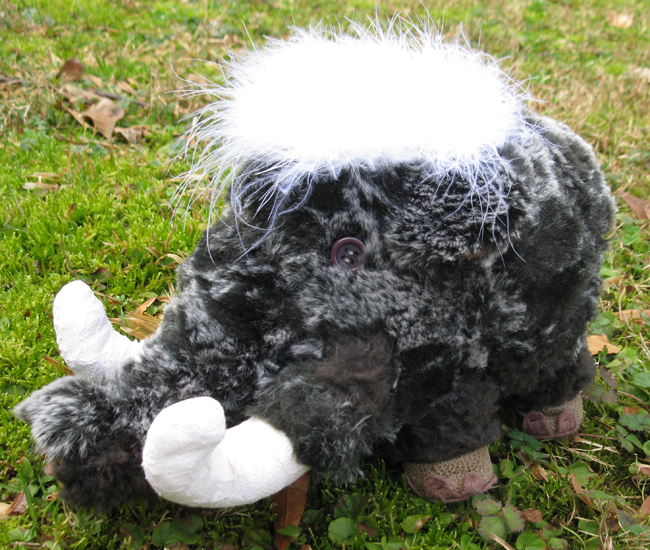 And there is still 1 mammoth left for a donor willing to give $150 or more! Thanks again!